First of all, the leaders of the world need prayer more than ever. There’s no better time to start your prayer network. The Conservative party in an effort to appeal to its base and win over UKIP voters. Promised a “hostile” environment for illegals. On winning, the UK’s Home Office crafted policy to target groups of “immigrants”. One such group targeted were those arriving in the UK before 1973. Many arrived from the Caribbean and had not naturalised their status. Or so the Home Office thought. All sounds logical, and on the face of it, may have sympathy for the UK. That is until a little known fact came to light. In 1973 the UK owned most of the islands from which many of those people arrived. So according to the law, they arrived as British citizens. The current UK government has found itself in the unenviable position of having crafted and implemented a hostile policy on its own British citizens…! Tip: Get on the prayer intercession and engagement platform supporting revival. In Acts 4:31 we read that “After they had prayed, their meeting place was shaken, and they were all filled with the Holy Spirit and spoke the word of God boldly”. Praying with others precedes movements of the Holy Spirit, so why not start your prayer network on Praying.Works…its completely free. 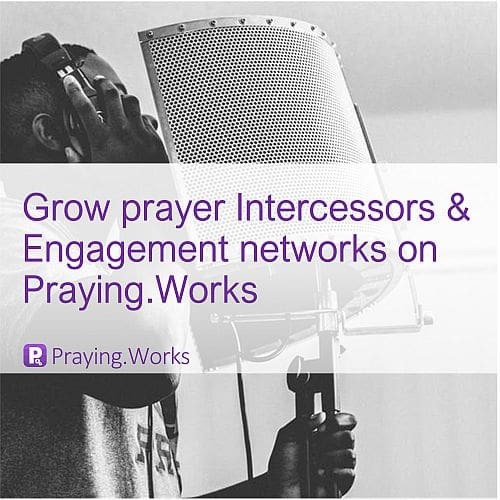 Tip: Praying.Works is at the heart of your prayer intercession & engagement strategy. To say we are living in interesting times; is an understatement. Now more than ever we need to intercede; watch and pray for everything. It’s now completely normal to expect the unexpected. Mistales such as that made by the Theresa May government has cost the lives of at least two people so far. What a burden to carry.